Things need time to grow. The time is drawing near for the tulips to start reaching for the sun. They are a welcomed sight in my garden. 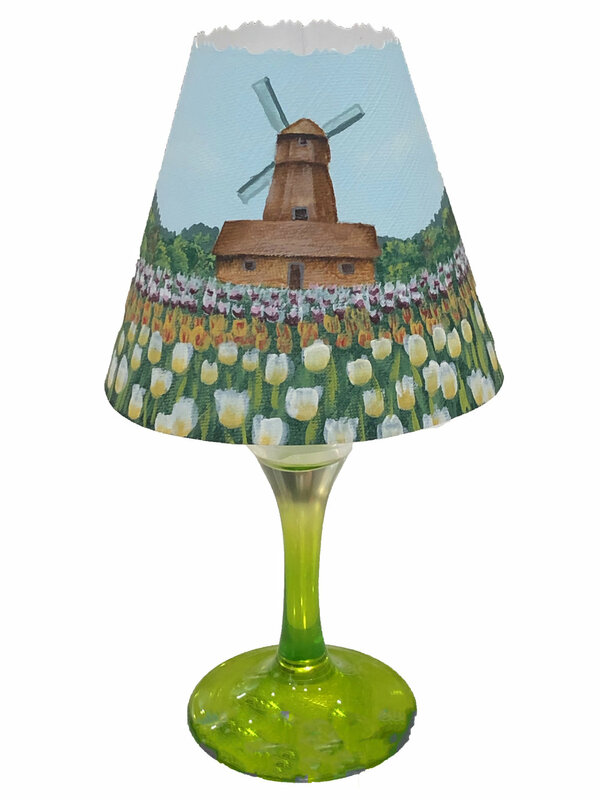 This is a painting of a Dutch-style windmill on a tulip farm. It is painted on a canvas paper and placed over a wine glass. A battery-operated tealight gives a gentle glow to a lovely Spring evening. To join the class, you can 1) purchase a Paint Box, a class kit or just the class. (see below) Directions and a link will be emailed to you prior to class.